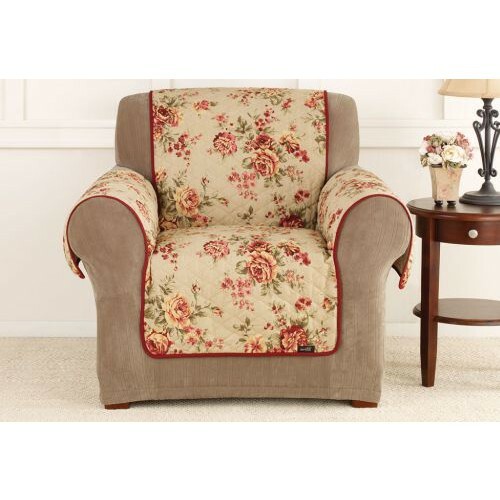 Lexington Floral Pet Throw, by Sure Fit, is a plush, pet-friendly slipcover designed to provide an easy and budget-friendly way to protect your furniture from pet fur or stains. The stylish, multi-colored floral print adds vivacious color to any room in your house. 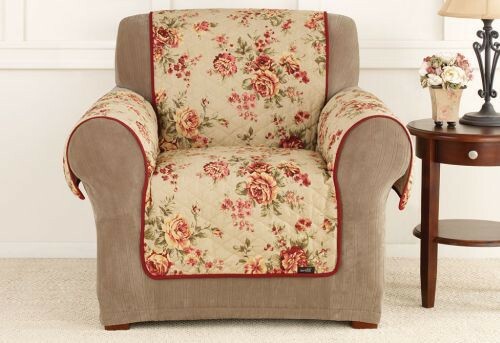 Lexington Floral Pet Throw features a removable strap to keep your pet cover in place on your furniture. The strap can be easily removed for when it comes time for washing. Machine wash separately in cold water, gentle cycle. Do not use bleach. Tumble dry low. Remove promptly. Warm iron if needed. Easy and Budget-Friendly to Protect Your Furniture From Pet Fur or Stains. Features a Removable Strap to Keep Your Pet Cover in Place. Material: 100% Cotton. Polyester Fiber Fill With Backing. Tumble Dry Low. Remove Promptly. Warm Iron as Needed.